University of Calabar, UNICAL pre-degree and diploma programmes available courses and requirements for each, are out for the 2015/2016 academic session admission exercise. 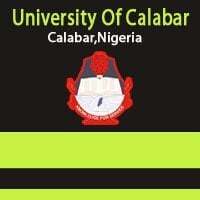 Following the publication of the University of Calabar, UNICAL Pre-Degree and Diploma programmes admission forms for the 2015/2016 academic session, the management released the programmes available, duration and admission requirements. Credit-level passes at not more than two sittings in (WASC/NECO/GCE O/L, NABTECH) English Language, Chemistry, Biology/Agric Science, Mathematics and one Science/Social Science subjects and at least a pass in Physics. Pre-Degree/Education: Credit passes in English Language, Mathematics, Physics, Chemistry and Biology. Pre-Degree Agricultural Science: Credit passes in English Language, Chemistry, Biology/Agric Science and one Science/Social Science Subject with at least a pass in Physics. Applicants must have JAMB results for last two years 2013/2014 and 2014/2015. Admission Requirements: Five Credit-level Passes in WASC/GCE O’LEVEL/NECO, NBTECH at not more than two sittings, including English Language and ONE Arts or Social Science subject. For admission into this programme, candidates are to possess a minimum of 4 credit passes in WASSE/NECO/GCE in English, Literature, Economics, History/Government, C.R. k or Mathematics. Teachers Grade Two Certificates (TC II) with at least three credits or merits and at least a pass in English Language and Mathematics in one sitting. SSCE Examination or equivalent with at least four credits in relevant teaching subjects and at least Credit level pass in English Language and a pass in Mathematics in at most two sittings. Teachers Grade Two Certificate (TC II) with at least four credits or merits and at least a pass in English Language and Mathematics in one sitting. The minimum entry requirement for admission into Diploma in Law programme will be as follows: West African School Certificate with credit passes in at least four relevant courses including English Language and Literature in English, at not more than two sitting. GCE. Ordinary level certificate with credit passes in least four relevant subjects including English language and Literature in English, at not more than two sittings. SSCE Certificate with credit passes in at least five relevant subjects including English language and Literature in English, at not more than two sitting. One year certificate in Theatre, Media, Journalism or other related disciplines from university and recognized institution, provided the candidate had at least three (3) ordinary credit level passes including English Language. Diploma from any discipline from a recognized institution (at Merit Level) plus at least 3 0/level credit passes including English Language and a pass in Mathematics. A/Level GCE with at least 10 points aggregate plus at least (4) 0/level credits including English Language and a pass in Mathematics in not more than two sittings. Five (5) 0/level credits including English Language, Mathematics and any of Biology, Chemistry, Physics, Health Science and Agric Science. Applicants must have at least (5) credits in relevant subjects in SSCE/WASC/GCE/NECO at not more than two sittings. Candidates seeking direct entry admissions must submit their academic transcripts to the relevant Departments. Aptitude Tests will be conducted for candidates seeking admission into all Degree Programmes. For further details concerning the subject areas to be covered by the Screening Exercise, please consult the recent JAMB Brochure for the Programme of your choice.